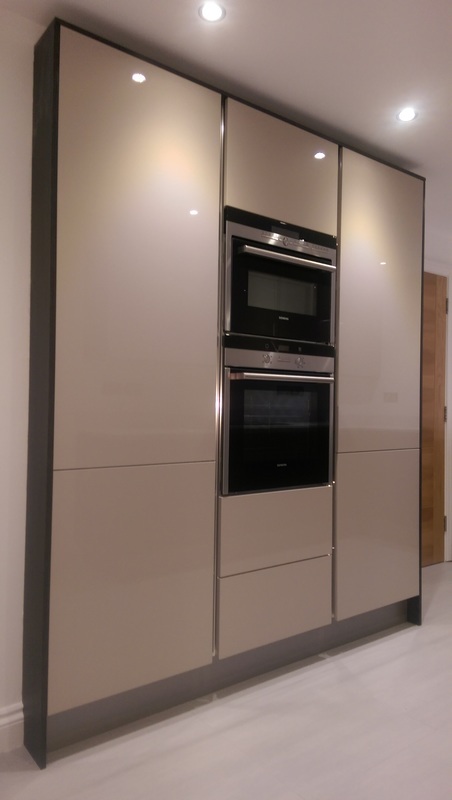 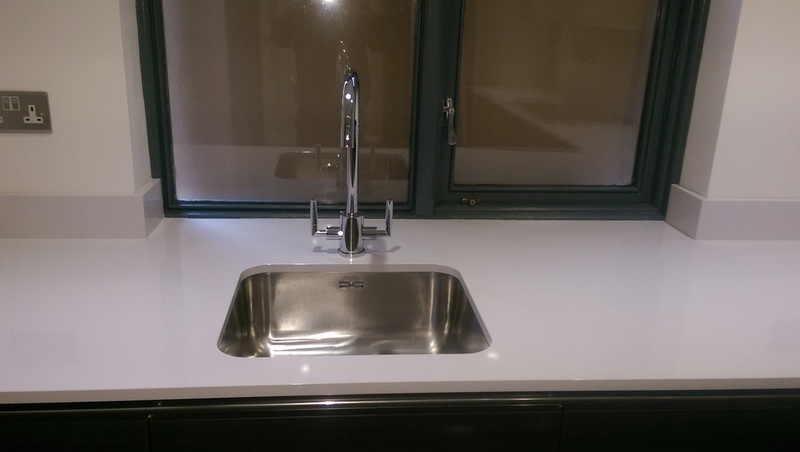 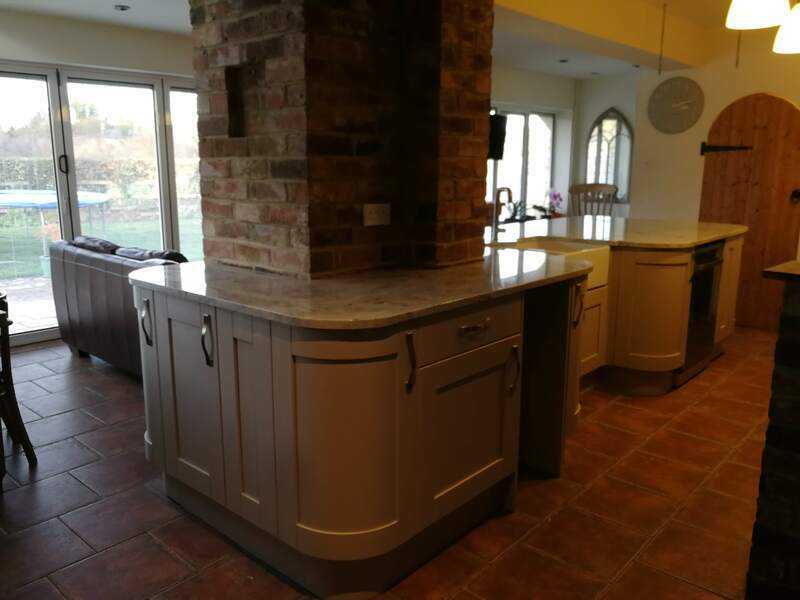 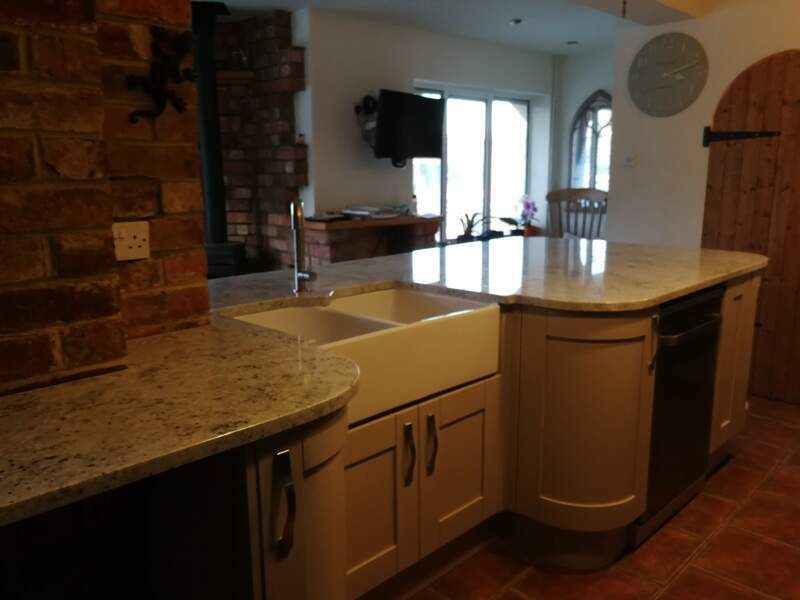 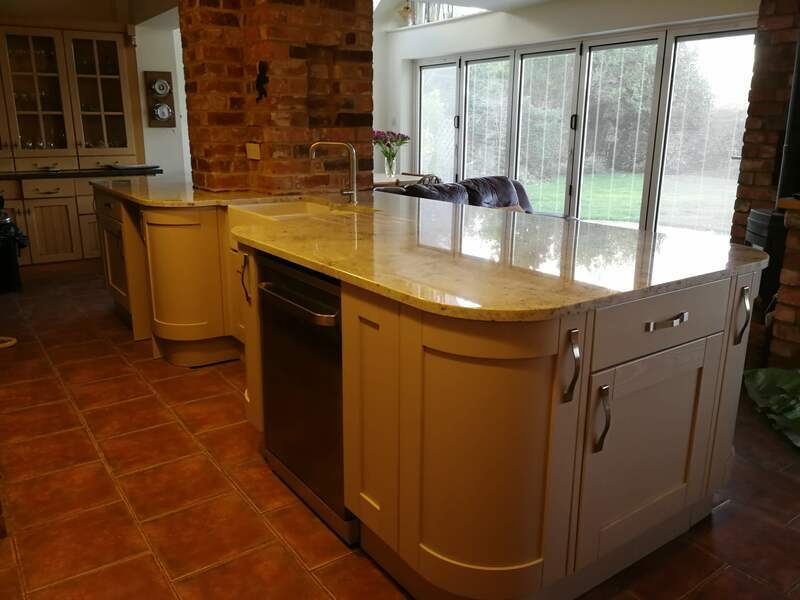 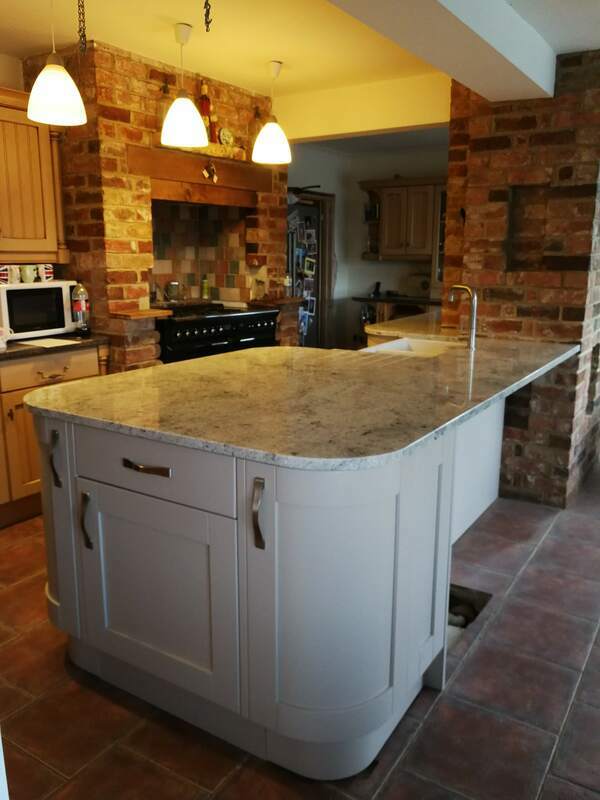 Island in Cashmere curved units with ​Sensa colonial white granite tops. 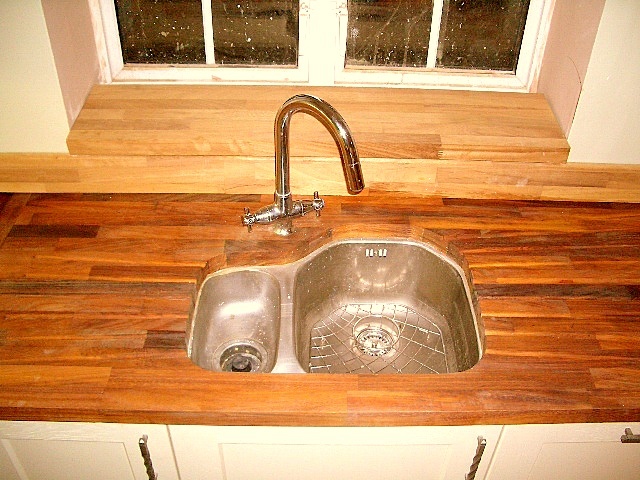 Designed and fitted. 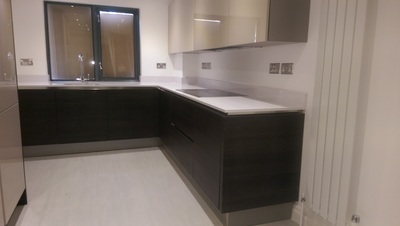 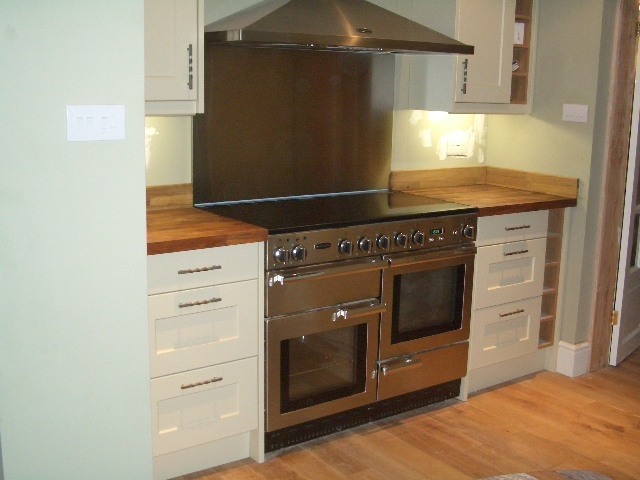 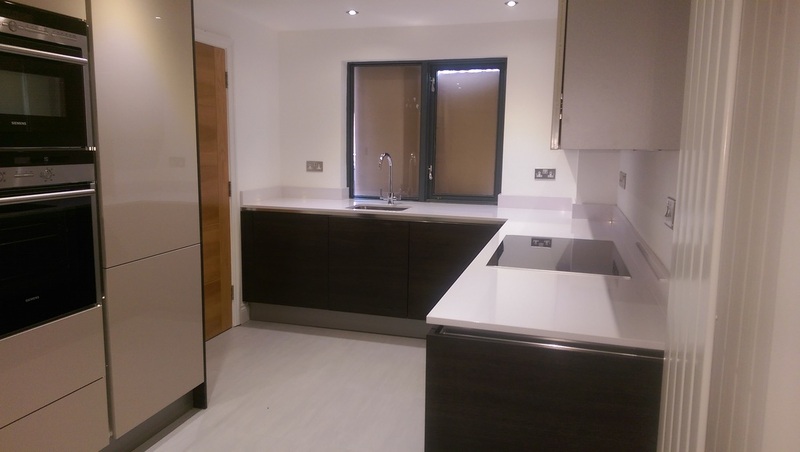 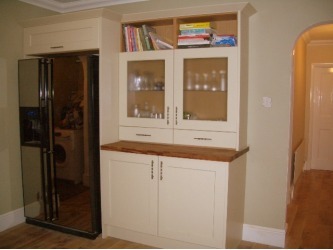 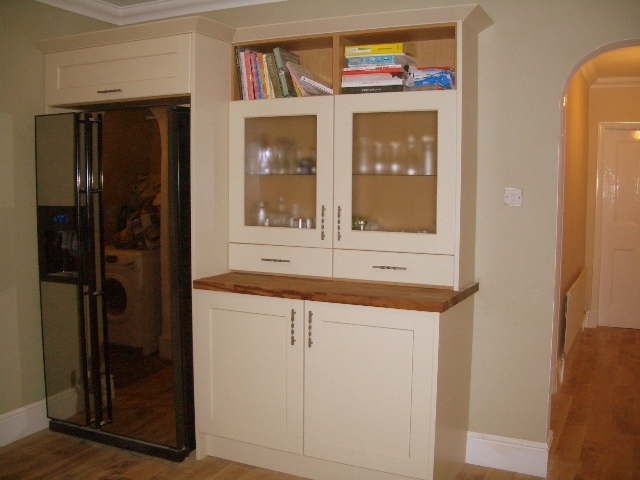 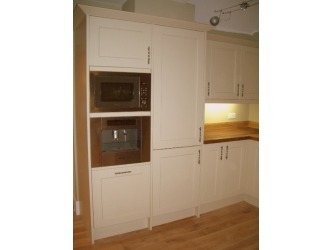 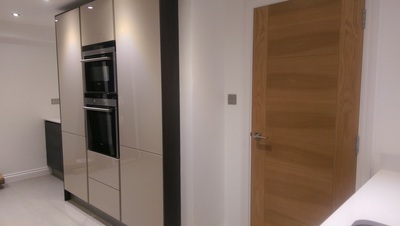 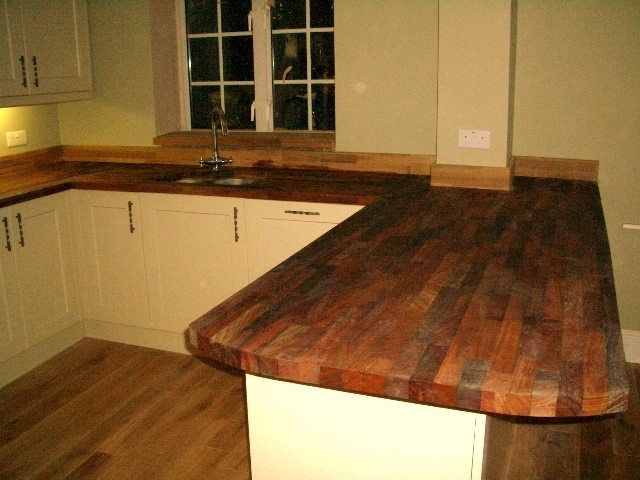 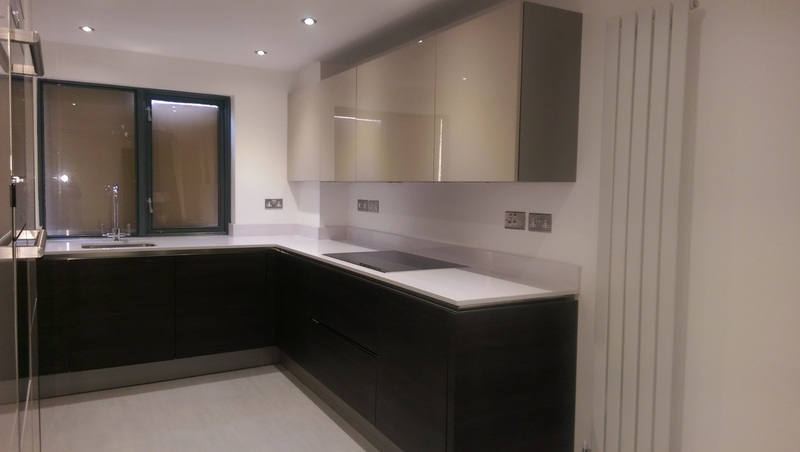 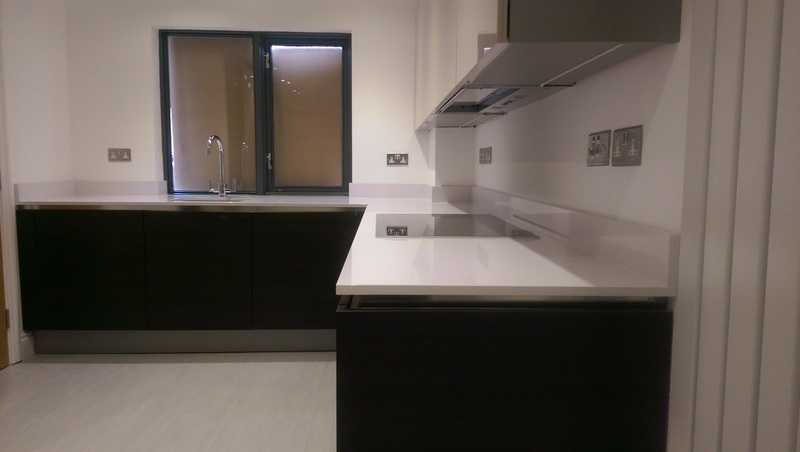 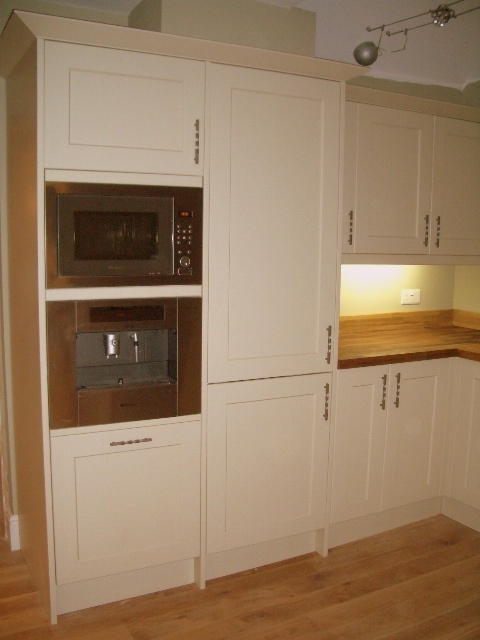 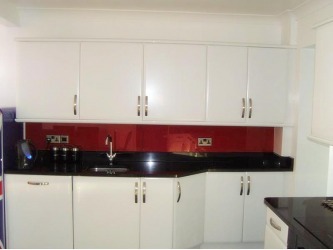 A cream gloss kitchen with chocolate brown composite worktops. 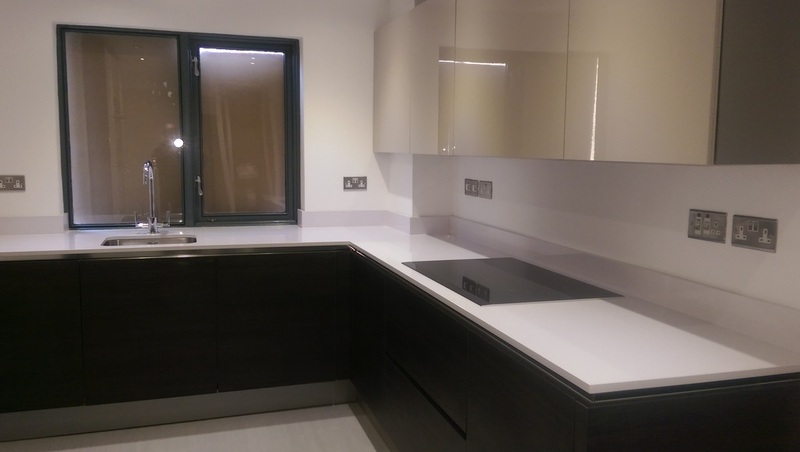 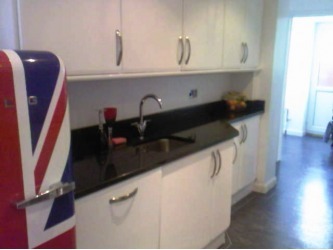 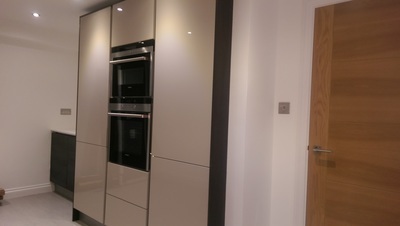 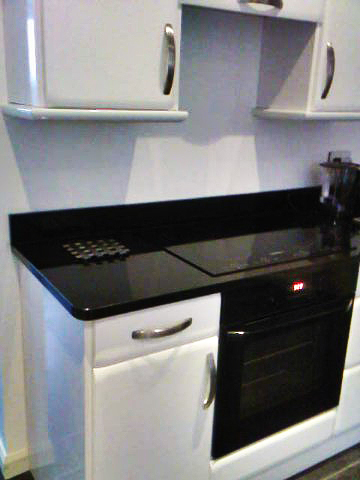 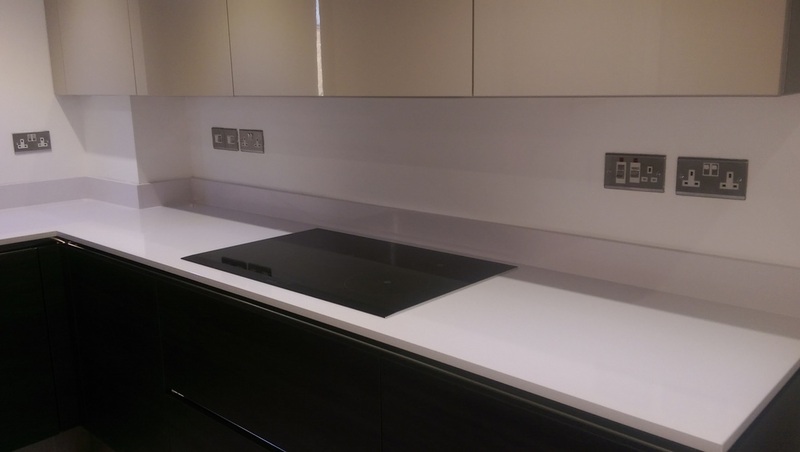 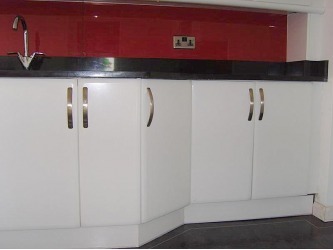 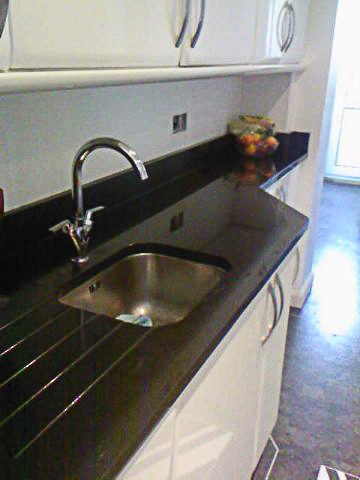 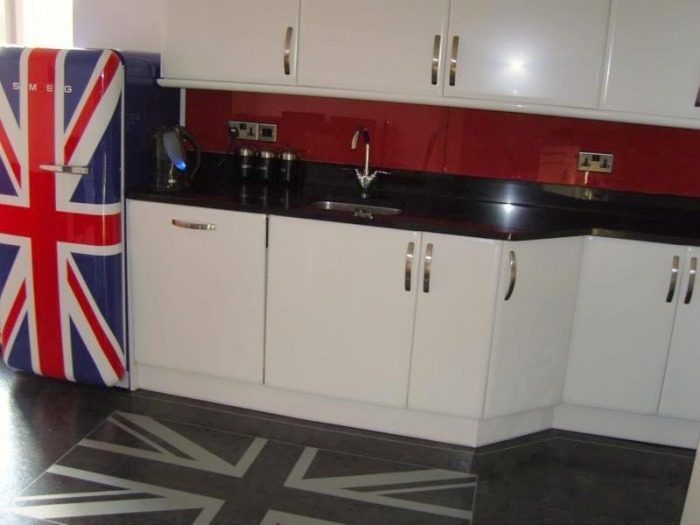 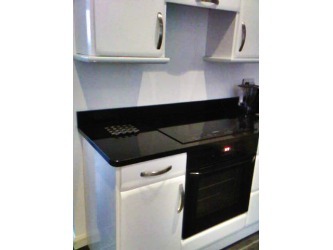 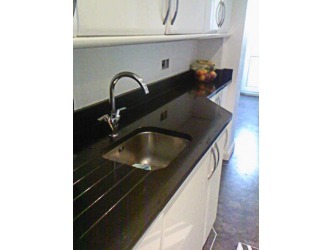 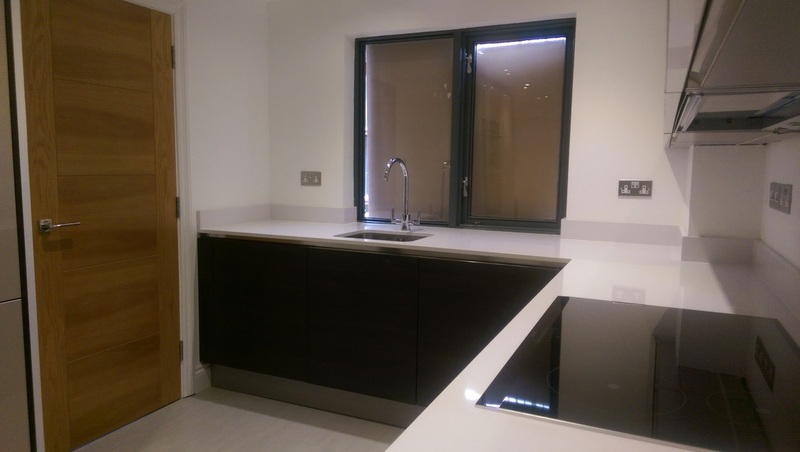 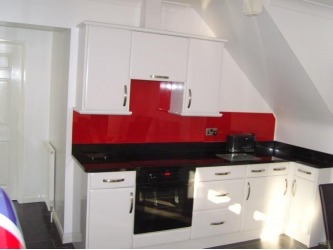 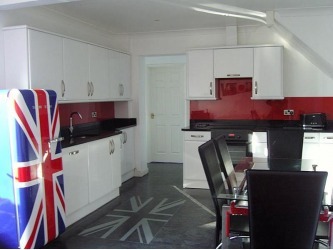 A white gloss kitchen with black granite worktops. 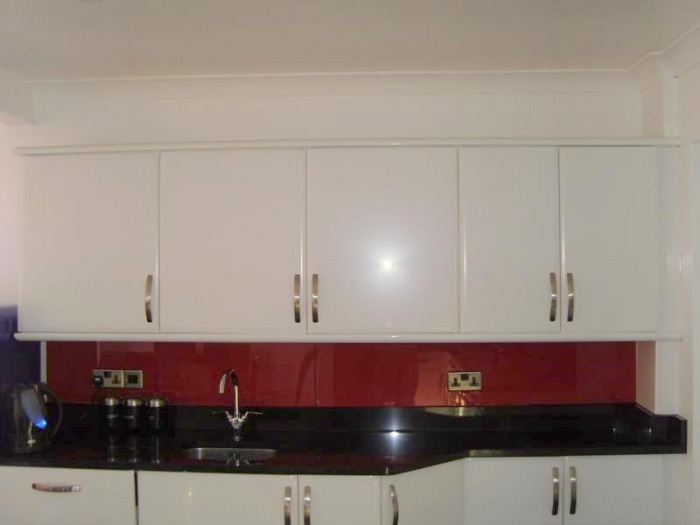 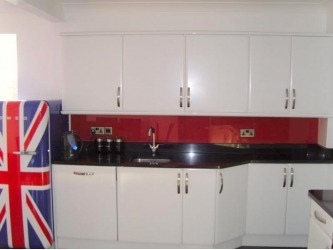 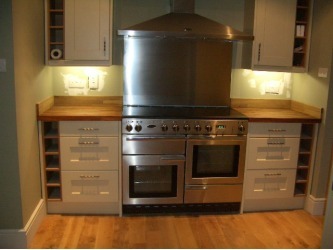 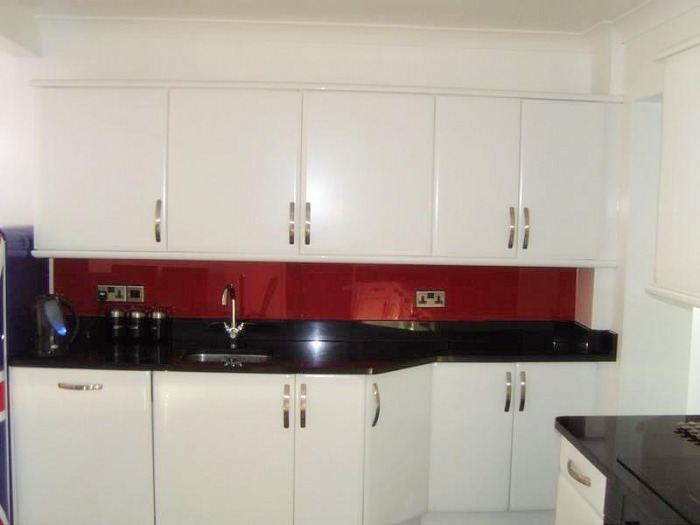 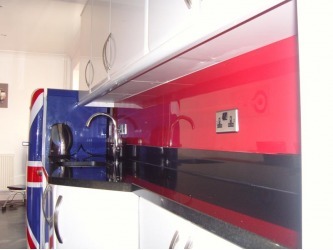 This is a kitchen I fitted in high gloss burgundy with kashmir white granite worktops. 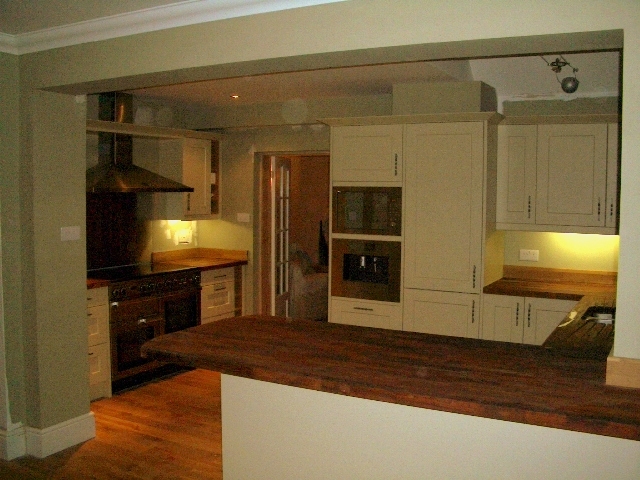 The project was completed in 8 days including rewire, plastering, tiling and painting.